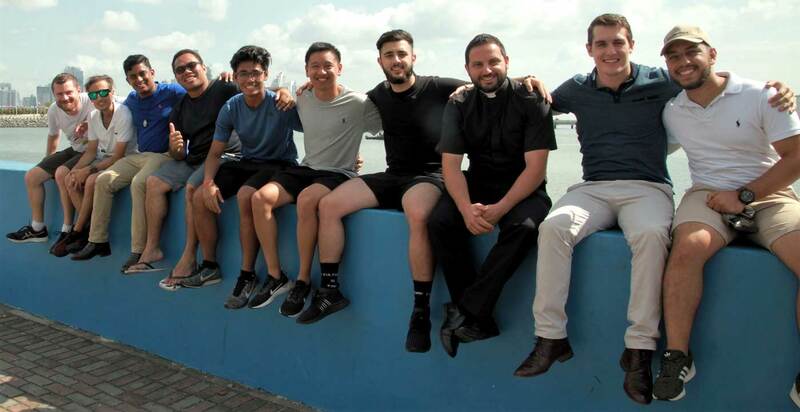 A Catholic youth leader has urged pilgrims to keep the faith-filled spirit nurtured in Panama alive when they return home and to make a difference. Chris Lee, pilgrimage co-ordinator, told the group of 40 young adults that although they were riding a “huge spiritual high” having attended World Youth Day, they needed to maintain it and do more. “This was a very special pilgrimage, but it was special because we are going to go back to Australia and make a difference,” he said. The pilgrims praised Archbishop Anthony Fisher OP, who led the pilgrimage, as a “fearless spiritual leader and spiritual father,” who so willingly shared his time with the group. Many described it as a life-changing experience and thanked the Archbishop for his insights into faith, prayer and genuine interest in their own lives. The two week pilgrimage included participating in the March for Life with hundreds of thousands of people in a snow-covered Washington DC on their way to Panama. The Australian pilgrims were among 750,000 people who attended the Final World Youth Day Mass in Panama City. It was the first time the Catholic youth festival was held in Central America. One of the highlights for the Pilgrims from Sydney Catholic Schools was a Q & A session with Archbishop Fisher during their stay in Panama City. There was also praise for the group’s chaplain, Fr Lewi Barakat, who the pilgrims said was “all too ready to console, to guide, and to consult anyone” who sought him out on the pilgrimage. The day after the Final Mass, the pilgrims particularly enjoyed a morning of recollection led by Fr Lewi, which included three hours of silence: a stark contrast to the noisy crowds of the previous couple of weeks. As pilgrims shared their stories, common themes arose. “My heart is full,” said one. “I know I’m not alone,” said another. Many shared that they had come on the pilgrimage not knowing anyone else, but were heading back to Sydney with a new family. All of them were grateful for the opportunity to be a part of this special group, and are already looking towards World Youth Day in Lisbon, Portugal, in 2022. 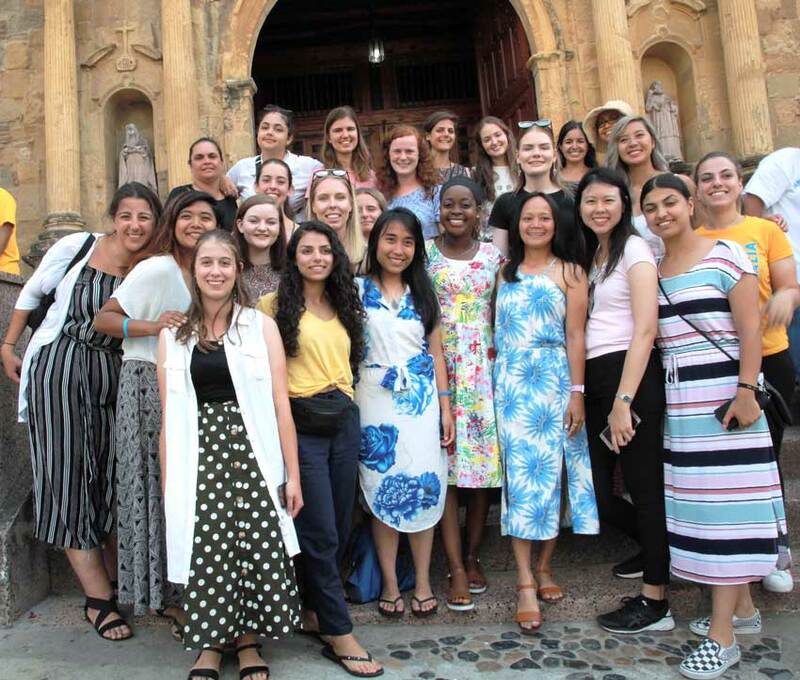 The group ended their pilgrimage with days of rest, recollection and gratitude for all they had received during their World Youth Day experience. They left the busyness of Panama City to the beautiful, seaside town of Colon, enjoying the swimming pool, and making good use of the volleyball and basketball courts and the soccer field. The pilgrims are now ready for the long journey back to Sydney, where they hope to share with their friends and families, parishes and chaplaincies, Church and country the gifts and graces they received during the trip. Viva Panama!